There is nothing purer than life after love, especially when that life involves a new love that looks a lot like your old one. Such is the case, it seems, with Channing Tatum, who, according to Us Weekly, is dating singer Jessie J. 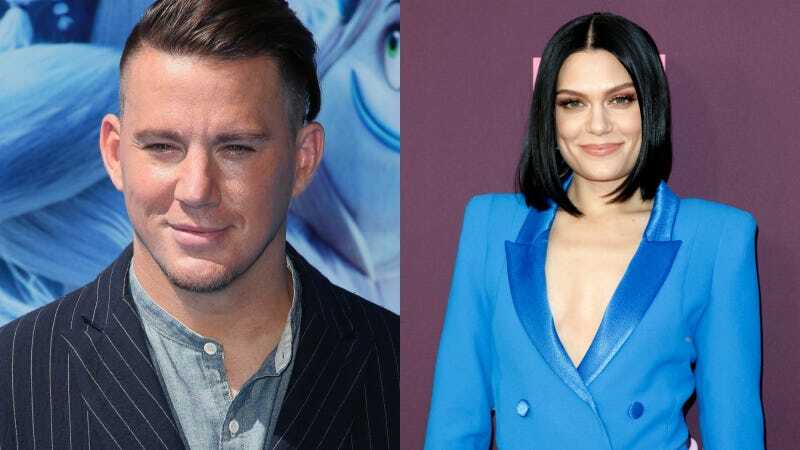 Us Weekly says Tatum and Jessie J have been dating for about two months, with spies spotting the former at the latter’s shows in Seattle and Salt Lake City. They were also reportedly seen playing mini golf in Seattle over the weekend, SPICY. Meanwhile, a “source” told Us Weekly that “it’s new, casual and they’re having fun together,” though any relationship that requires more travel than a 10-minute drive sounds slightly more serious than a fling. Now, I have not been to the eye doctor in many years and had trouble reading a sandwich board this morning, so take this comparison with a grain of salt. But doesn’t Jessie J appear to closely resemble Tatum’s ex-wife, Jenna Dewan? Like, in the face? With the hair? And the cheekbones? And the other stuff? I mean, everyone has a type—my love interests tend to say things like “I lived in Bushwick in 2009" and look like they’ve been put through a dryer cycle—so I am certainly not passing judgment so much as I am pointing at blurry things with my blog fingers. May Tatum’s and Jessie J’s love bloom eternal. I have trouble recalling which of the OneDirection boy wizards is Louis Tomlinson, but today he did a very good Twitter own, so he is the best one. These people mean nothing to me, but I still laughed.